As a quality focused firm, we are engaged in offering a high-quality range of Dehydrated Green Pepper. Catering to the requirements of our clients, we are involved in offering Dehydrated Green Pepper. The Dry Chilli peppers are ready when they are close to brittle, breaking easily between your fingers. Dried peppers can be used as is in soups and stews but do need to be reconstituted to be used in other recipes. These can be easily preserved in the freeze and keeps the chili for longer time. We manufacture and supply dry chili to our customers at wide range. We have carved a niche amongst the most dominant names in this domain, instrumental in providing an excellent quality range of Dehydrated Green Pepper. These are berries that are picked long before maturity in the green stage and are air-dried, freeze-dried or pickled in brine. Aromatic with a fresh flavor, they can be considered as both a vegetable and spice. Popular in French and Thai cooking. 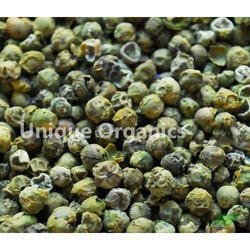 Provided by us, is Dehydrated Green Pepper that is renowned for its natural green color and pure quality. 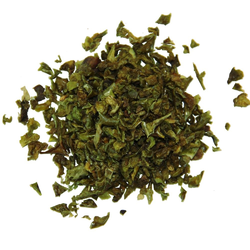 The Dehydrated Green Pepper that we offer brings us repeated orders from the customers. Also, we are one of the distinguished Dehydrated Green Pepper Manufacturers, exporters, and suppliers in the domain.